Alumni Story | Drew McCartie is a graduate of the University of Auckland with a Bachelor of Commerce and a Bachelor of Arts. Drew completed his internship at a digital marketing agency in China’s Silicon Valley of Shenzhen, focusing on providing marketing services to Chinese companies who struggle to tell their story internationally. 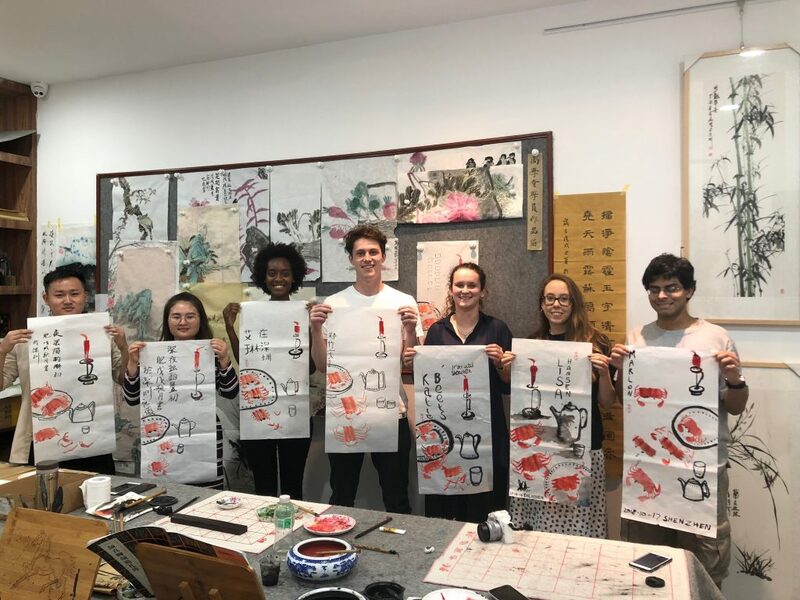 After completing my degrees in late 2017, I decided that I would like to reinforce my language studies and cultural understanding of China by moving there for a period of immersion learning. I had always heard that the best way to learn a language was to move to the country in question, so I did! I moved to Shenzhen for my digital marketing internship after a period of time studying at Fudan University in Shanghai. My time in Shanghai had allowed me to get settled into the ‘Chinese lifestyle’ and so I was very excited to experience another one of China’s huge, vibrant cities. Shenzhen was similar to Shanghai in some ways, but had very distinctive features in its language, demographics, food and, unfortunately for me, humidity. I thought I had got used to the heat whilst in Shanghai, but Shenzhen was a whole new level! However, the heat was quickly forgotten thanks to the wonderful balance of work, events and social outings in which the other CRCC Asia interns and I were able to participate. 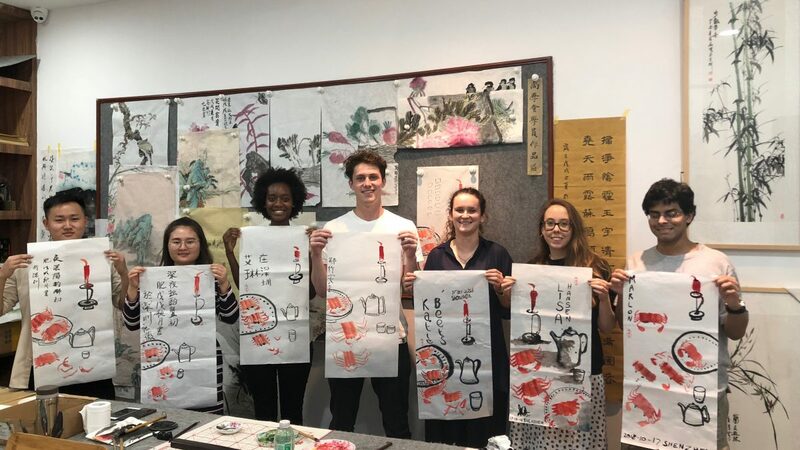 We were lucky enough to go to a local kindergarten to create our own scented candles with the kids and we had a calligraphic painting night, as well as a range of talks such as on blockchain and networking events specifically designed for Shenzhen’s exploding startup culture. I also really enjoyed going to local parks for cleanup events. 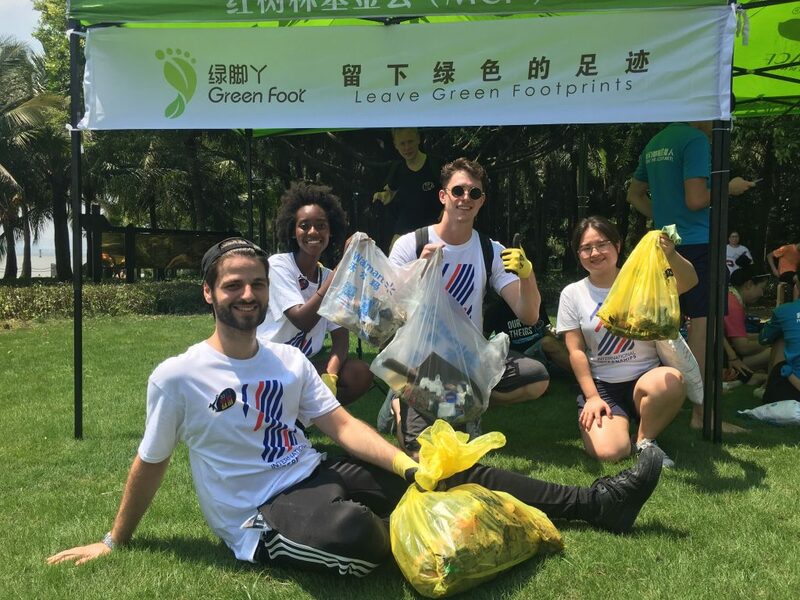 CRCC Asia partnered with an organization called Green Foot for a huge cleanup drive on World Cleanup. I’m a bit of an environmentalist at heart and China’s rate of plastic consumption can wear on me at times. Therefore, it was nice to be able to go out into the community and contribute to a solution by acting as a role model for locals to pick up their rubbish! Drew (second from left) enjoyed the environmental activities on offer during his CRCC Asia Internship Program, including a day cleaning up Tanglang Mountain! My host company was also fantastic. I was welcomed with open arms and even taken out to dinner by one of my bosses on my first day! Although I never studied it, I had some prior experience working in digital marketing back in New Zealand so it was nice to have some foundation knowledge going into this internship. The company itself was a great mix of both Chinese and Western culture. The owners included one Chinese person, one French person and an American, and the other employees were also a mix of Chinese and foreigners, so I could speak Chinese as often as I could but fall back to English should I need to. Our work was also in both languages: all our client-side work was in Chinese but the actual day-to-day digital marketing tasks were mostly in English. I was immediately put to work on a project that had great value for the company: developing and optimizing business development documents for their sales and on-boarding processes. This was fantastic experience for me and was also a great first task as it enabled me to dive into exactly what the company offers its clients. The business itself was a fantastic example of how China and the West will increasingly interface in the future. Chinese marketing tactics struggle in the West and on Western platforms, not least due to language problems, so there are a range of areas where organisations who can overcome these language and cultural barriers can offer huge value to China-based companies. The company was also hugely social: everyone got along really well and we had at least one once-monthly outing where we would all go out for a meal and activities together. We even had a fantastic BBQ night at one of the other employees’ apartments. It was a small team, with 9 employees, but growing fast and they had a fantastic culture. The dress code was casual, which was fantastic during the warmer summer months, and the tight-knit office meant there was lots of conversation, jokes and fun during the days. 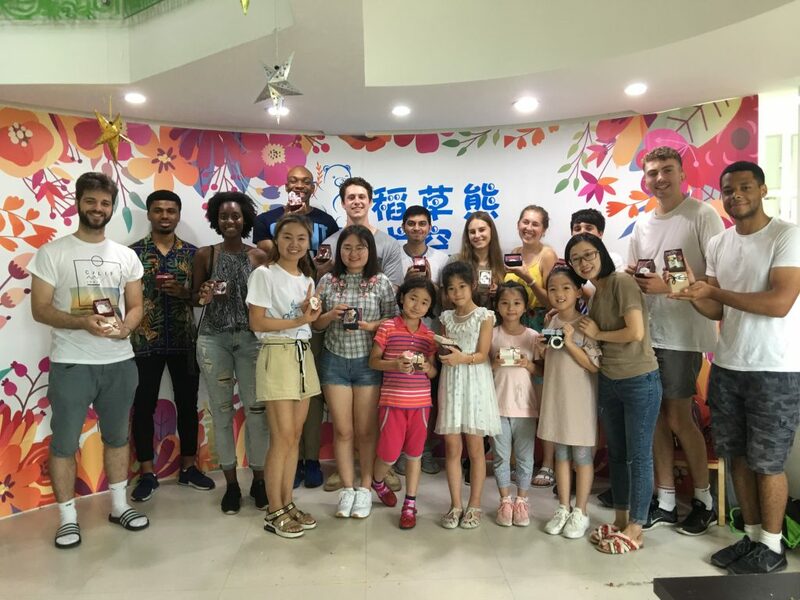 Drew also had the opportunity to meet people in the local Shenzhen community via the CRCC Asia program of events. Beyond how fantastic my host company was, and the great experience I had there, the CRCC Asia staff in Shenzhen were also amazing. David and Vivi provided constant support and advice, and organized a whole range of fantastic evenings and outings for us. I felt incredibly welcomed and supported during my time in Shenzhen and am already missing it! Find out more about interning in Shenzhen by reading all about Karolina’s legal internship at a law firm in Shenzhen. Check for any Special Offers and add a Travel or Mandarin add-on.